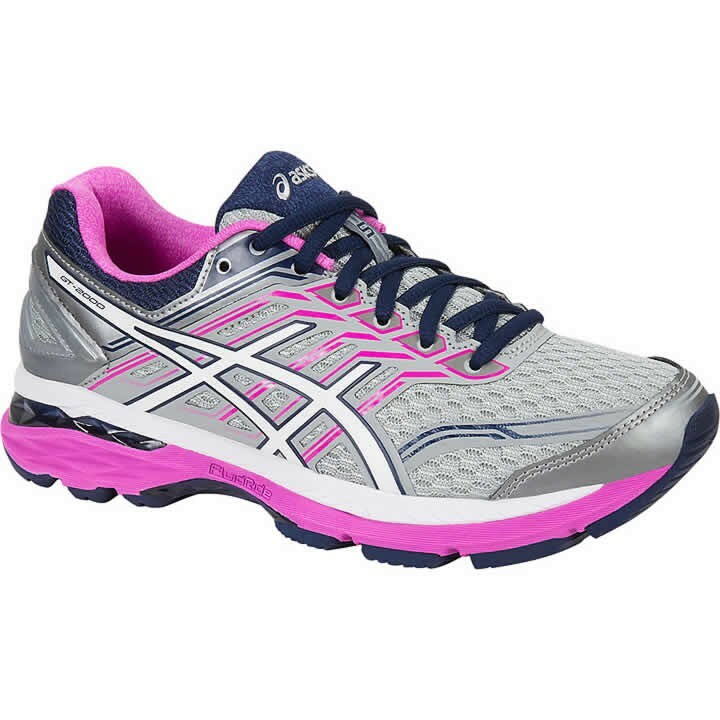 For the higher mileage runner looking for structured cushioning and support, the ASICS GT-2000™ 5 shoe features a FluidRide® midsole for exceptional bounce-back and cushioning. An added stitch-down toecap enhances durability and forefoot support. ComforDry™ Sockliner: This premium sockliner features higher rebound properties while providing excellent moisture management and a high level of breathability. FluidRide®: FluidRide provides the ultimate combination of bounce back and cushioning properties with reduced weight and exceptional durability. Guidance Trusstic System®: This Trusstic System® integrates Guidance Line® construction for enhanced gait efficiency while providing midfoot structural integrity. Impact Guidance System (I.G.S.®): ASICS design philosophy that employs linked componentry to enhance the foot's natural gait from heel strike to toe-off. Dynamic DuoMax Support System: This evolution of DuoMax™ system enhances stability and support, with reduced weight and increased platform support. AHAR®: Acronym for ASICS High Abrasion Rubber. Placed in critical areas of the outsole for exceptional durability.